This is definitely one of my frequent go to’s – I actually have this shade on my desk at work so it’s often part of my mid-afternoon ‘wardrobe change’ (aka I’m too lazy to hunt in my bag for the shade I put on earlier in the day). I’d describe this shade as a neutral, muted rose with a hint of berry. What I love: this shade really does suit almost everyone. I’ve recently used it for a wedding and it suited the bride and all her bridesmaids, who were of varying skin tones and hair colours, and it looked great. 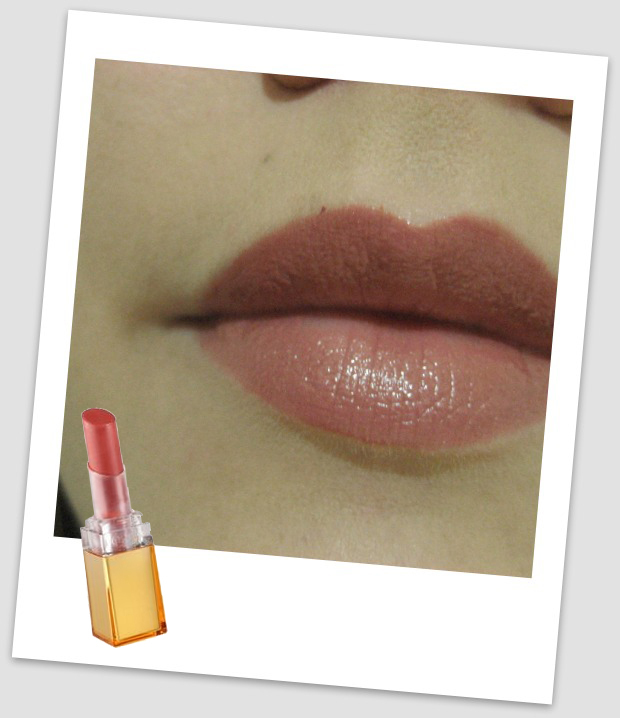 The texture is creamy and rings true to it’s claim as a lipstick that is nourishing like a balm but shines like a gloss. It’s really easy to just swipe over your lips and has lovely colour payoff without having to pack it on. It also has a really yummy scent, which I can’t quite place, but I’m thinking jelly beans? What I don’t love: for all it’s nice ‘smooshy’ feeling on your lips, it can sometimes feel a bit heavy. Also, in terms of it’s staying power, it wont last past your morning coffee, which is a real shame because it’s so pretty. As for the packaging which, although I really like due to it’s unique tapered shape and colour peek window, unfortunately the lid has an annoying habit of coming off in my purse. Overall I’d recommend this as a beautiful addition to anyone’s lipstick collection, so long as you’re prepared for frequent touch ups.